The simplicity and purity of your photo shines with the promise of a new year. I always hope for wisdom and more kindness - for myself and for others. Happy 2014! What a wonderful way to start the year - lovely image and lovely sentiment! 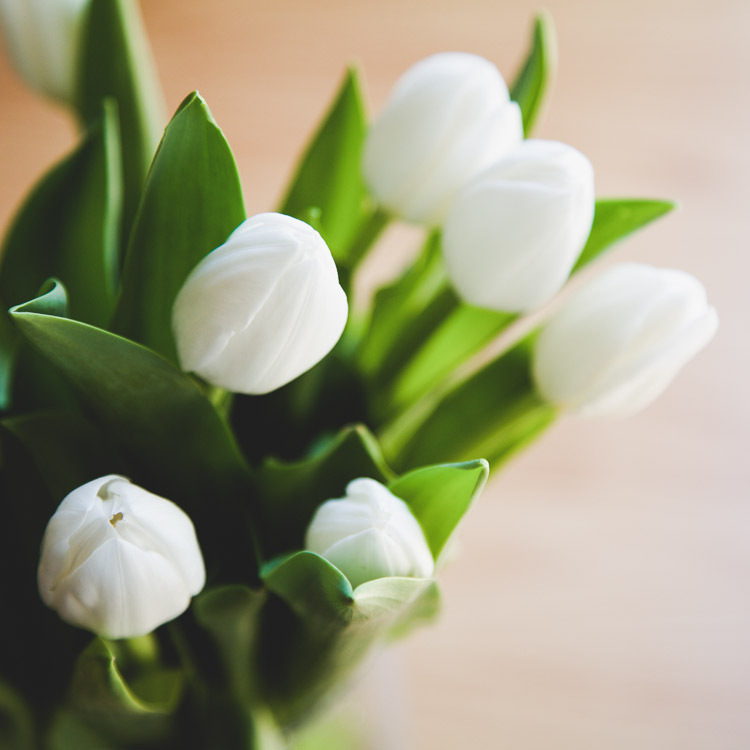 White tulips are my favorite. Bonne Année, mon amie! Beautiful words and capture - Happy New Year! You always can capture just the right words at the right time. Hoping for some great outrageous times too. Happy 2014. Beautiful! Love those crisp, clean tulips. So glad to have "met" you in 2013. Here is to more in 2014! Happy New Year to you and yours, Catherine! I love this inspiring Neil Gaiman quote and the fresh tulips. Such hope and brightness for the future. Here's to 2014, my friend!